Welcome to Author Wednesday. 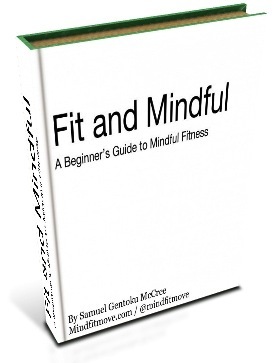 Today I welcome Gentoku McCree, author of two self-help books, Fit and Mindful and Awareness. Gentoku stopped by for a guest post on Mindful Writing back in May. 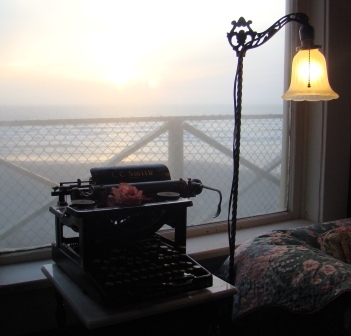 Today, his post offers some suggestions for writers to keep fit while participating in a sedentary occupation. Did you know that The Hunchback of Notre Dame is about a writer? The hunchback got that way because he was working on his novel. Day in day out “hunched” over his manuscript turned him into a freak and the rejection letters made him go somewhat insane. I’m serious … they did a study. OK, that’s not actually true, but writers and anyone who doesn’t work on a farm face a hard truth. Human beings weren’t made to sit all day. But that’s exactly what most of us do at our day jobs. We sit in fluorescent-lit rooms, squinting our eyes at bright screens, hunched over our keyboards, and hardly getting up to move. If you’re a writer, this problem is likely compounded by having to work at home on nights and weekends. As you hone your craft and engage in your passion, your body suffers. And though a suffering body can make for great writing, poor health can limit creative energy and drive up health care expenses. So, with all that in mind I give you Six Anti-Hunchback Movement Tips for Writers. Exercise and stretching are great, but if your working posture is poor, nothing can help. These first few tips focus on posture. Following them will make long hours of bardesque slaving much easier on your body. One of the most common stress points for writers is our necks. As we work on computers, check email on our smart phones, and do almost everything else our head is tilted forward. As writers our heads are extra heavy because they are filled with endless words. So, our necks have to work over time just to keep our heads upright. This leads to muscle imbalance. The back of our necks becomes super strong. And the muscles on the front of our necks are super weak. The best way to solve this problem is to simply make sure your screen is at eye level. Get a stack of books that you’ve read, but can’t bear to give away. Use them to get your monitor up to eye level. Doing this one thing alone will help end neck cricks forever. Level the Playing Field – Try to keep your hands in line with your arms as you type. If your wrists are tilted up or down, you are cruising for a carpal tunnel bruising. Break Dance – Take a ten minute break at least once every hour. These breaks will help keep you fresh, but also help relieve tension and prevent injuries from overuse. Going the Distance – It’s important to keep your keyboard and mouse at a comfortable distance. Be mindful not to put your keyboard too far away or too close, but somewhere right in the middle. By walking the middle path, you prevent over extension and over hunching as you work. Another danger for writers is eye fatigue. This is caused by looking at a back-lit screen for too long and is exacerbated by working at night. Take breaks – Eye fatigue is caused by the muscles in the eye. When you take breaks, you give these muscles a chance to recover. Reduce glare – Glare wears your eyes out fast. So cut back by reading on paper, keeping screens out of direct sunlight, and wearing anti-glare sunglasses when you’re outside in the sun. Adjust color – Most of us keep the same color for our screens day and night, but computers are designed to work mostly in daylight. So, at night you need to adjust your screen accordingly. You can either do this manually or by using a program like Flux that will adjust the tint of your monitor based on the time of day at your current location. So, your posture is better, but that’s not enough. If you want to increase creativity and longevity, you have to get up and move. Various studies have shown that exercise can produce an increased capacity for creative thinking. The effect of exercise on creativity is both immediate and residual lasting up to two hours. So, if you are in the realm of block one of the best things you can do is move. We’ve already established you should be taking breaks as you write. And those breaks are a great time to get up and move. Many people think that you need to workout for an hour everyday to get in shape, but you can do a lot in just a few minutes between other tasks. Serious weight loss and building serious muscle may take time, but if you start small, you are more likely to get into the habit. And the habit is where is all begins. A good way to start is add movement when you take a break from writing. Set a timer for ten minutes and do any type of exercise you like. This could be anything from jumping jacks to yoga. By moving your body, you will increase your creativity and use those breaks for something other than looking at LOL cat videos. Simple, you use your body weight. Ninjas, pirates, and all sorts of epic heroes have used body weight exercise to get into shape. And you can do a full body workout in those ten minute breaks you take every hour or two. Here is a simple body weight workout you can try. Start with just doing one set of exercises per break. So for your first break do the body weight squats, for the second do the pushups. Break these into even smaller sets if you need to and once you are done get back to work. If you take six breaks a day, you will have done an excellent beginning body weight work out that will help you build functional muscle. The key to becoming more active is to start small. The biggest mistake that any one including writers face when they start moving is they go too big. The hardest thing to build in fitness isn’t muscles or endurance. The hardest thing to build is the habit of being active. If all you can start with is five minutes, three time a week, great! It’s much easier to go from there then to start from scratch. Remember that every time you walk away from the keys to do a short little movement routine you are making yourself a dynamic character. Not only will exercise help you work through your writing, but it will also help you work through your life. 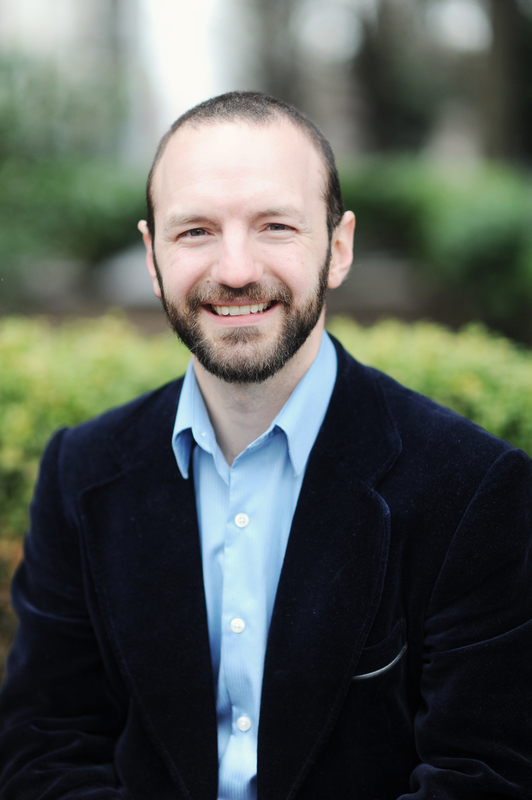 Gentoku McCree is a mindfulness-based personal trainer, former monastery resident, a yoga school student, writer, and Zen Buddhist practitioner living in Portland, Oregon. Gentoku is his Buddhist name given to him by his teachers Chozen and Hogen Bays at Great Vow Zen Monastery. Gentoku means manifesting virtue or present sincerity. His mission is to support others in living a more healthy, balanced, and mindful life. This entry was posted in Author Wednesday, Ramblings of a Writer and tagged authors, computers, exercise, sitting, writers, writing. Bookmark the permalink. I was lucky enough to have a second post one Writing Whims about movement tips for writers. As a writer myself and start up founder I spend alot of time working at the computer. I hope these 6 Tips for Anti Hunchback writing will help everyone from writers to workers alike find more balance in their bodies as they do there work.